While the U.S. Army phumphers around on their camouflage improvement effort, the Marines have gone balls to the wall on effective concealment solutions for multiple terrains. Here we have the Snow Camo results from the Disruptive Overwhite Uniform Program that was awarded to the venerable camo power house of Timothy O'Neal and Guy Cramer from HyperStealth. 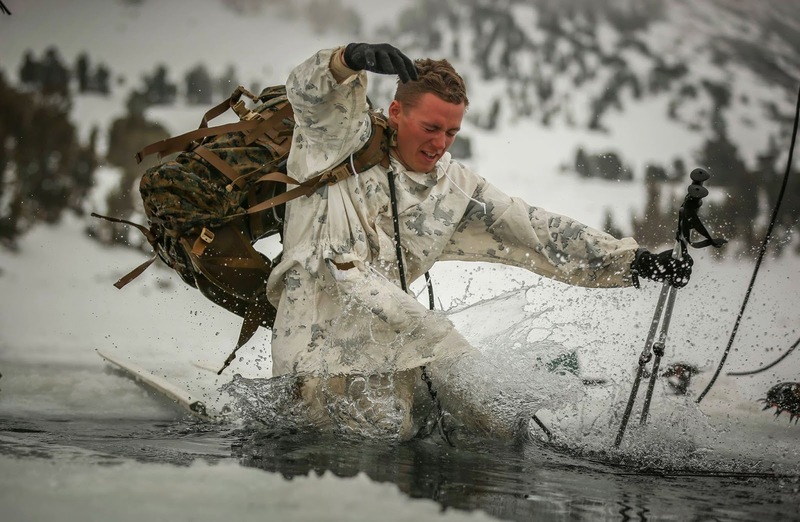 The Marine seen here is at the Marine Corps Mountain Warfare Training Center, participating in an Ice-Breaker Drill during the Winter Mountain Leader Course.